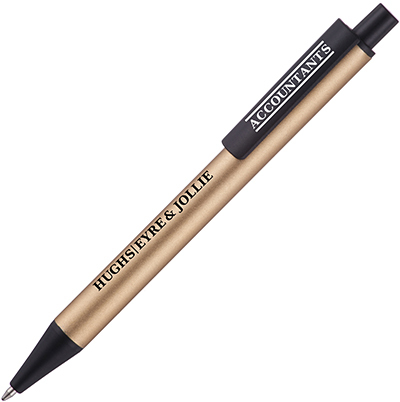 Description: A modern look pen with metallic coloured barrel, surprisingly weighty for a pen at this price - outstanding value for money. Product Size 139 x 9mm dia. Lead Times 7 working days from artwork approval. For Priority Service Lead times and pricing info please visit Priority-Service for more information.